Rangefinders provide a very different user experience. For those who haven’t handled this type of camera, using its viewfinder is like looking through a window, and inside that window are small frame lines where your picture will be composed. Street photographers, in particular, love rangefinders, as the entire scene can be seen and composed within those frame lines. 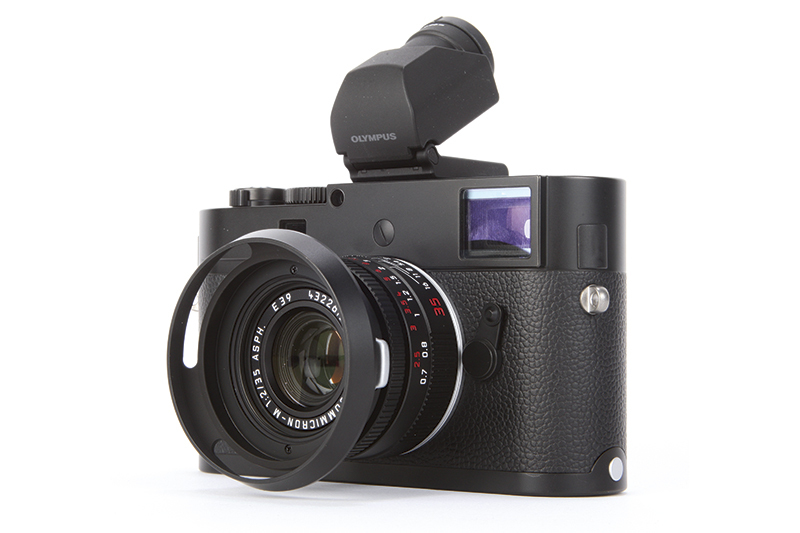 In the centre of the rangefinder is a small box that is coupled to the focusing of the lens. To correctly focus on an area of the scene, the image in the small box needs to align itself with the rest of the viewfinder. However, we’re talking about a very small box, and when working with wide-aperture lenses it can be quite difficult to get the focus right as any slight inaccuracy will mean the focus has missed. You are very much dependent on having good vision and the ability to see what you are focusing on when using a rangefinder and it’s also quite time-consuming. The more you use it, the quicker you get, but it’s still not particularly fast. Thankfully, I have very good vision, and although I would say using a rangefinder is hard work, it’s very precise, incredibly enjoyable and gives a great deal of satisfaction when you nail the focus perfectly. 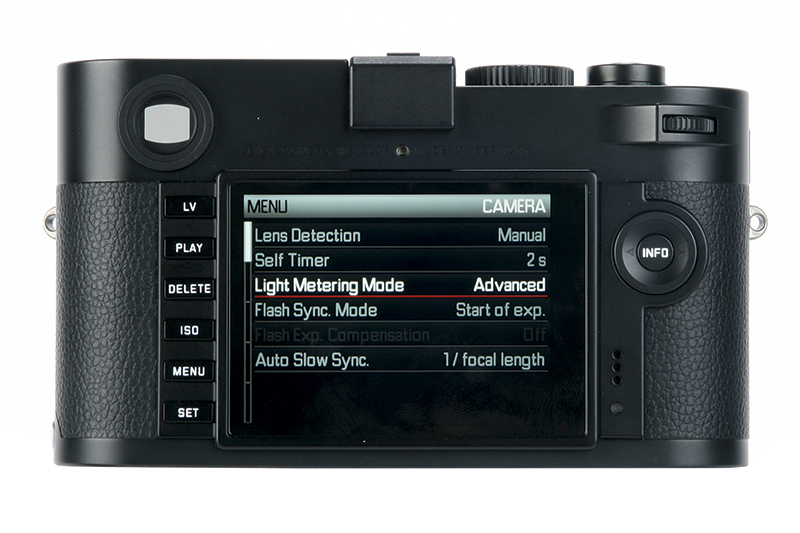 For those who struggle with the rangefinder, there is always live view or an optional electronic viewfinder (Leica Visoflex EVF2, £360) that can be attached to the hotshoe and accessory port. When I was at a Leica Meet event for Leica users, I noticed that the large majority of the devout M-system shooters were using the identical Olympus VF-2 viewfinder instead. This EVF translates what the LCD is doing into the viewfinder, complete with focus peaking and magnified live view display. When trying to focus the Leica Noctilux-M 50mm f/0.95 Asph lens wide open, the live view with a 10x magnification enlargement was the only way to get close to focusing the lens properly. In this situation, an optional viewfinder would have been useful. The viewfinder is also helpful for composing shots quickly using focus peaking, as the rangefinder usually requires the photographer to line up the centre of the rangefinder, focus and then recompose the shot – unless you’re taking an educated guess. With a resolution of 921,600 dots, the 3in screen is one of the best we have seen from Leica. The anti-reflective coating does a good job of cutting reflections, and provides good visibility in bright light. One slight downside, though, is that the screen has a slow refresh rate in comparison to those of many other cameras.